We welcome May by plenty of gifts to win for all mothers! 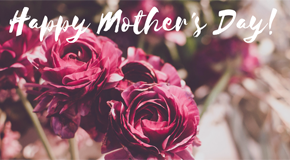 Mother’s Day is just around the corner and we would like to take this chance to say to all our mum readers: “Well done!” You all deserve a blasting shower of gifts, love and kind words. To celebrate this special occasion, Playgroup NSW is giving out a special BIG prize to a lucky mum who sign up or renew your membership with us this month. You will receive a $200 gift card and a special kids music album from ABC. Simply sign up or renew your membership with us and you will automatically enter into the draw for this special prize. 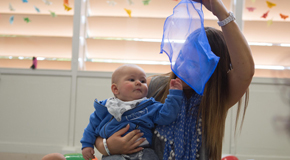 Now let's welcome May with new update for parents from NSW government and our expert advice on how to build a sensory play area for your little ones! The cold season is approaching and that means freezing wind and sick kids. While we all brace ourselves for the upcoming coldest winter on record, a new release from NSW government might cheer all parents up a little. 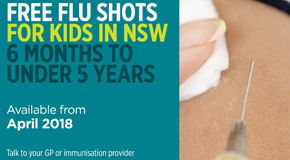 All NSW children from 6 month old to under 5 year old now have access to free flu shots. The free vaccines distribution has commenced last month in April. So check with your GP or immunization providers for the free option for your child(ren). Life always has its ups and downs and it’s so important for parents teach their child(ren) to navigate through tough times in a healthy way. Babies are very sensory. They loves to explore various textures, sights, sounds around them. And through that process, they learn. Our play expert Cat Sewell has shared with us some tips to set up a sensory play area for your baby right at your home. Nothing can beat story telling time. 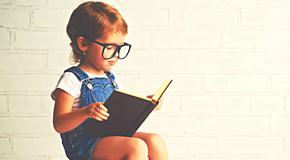 Take a look at our list of goodreads sorted by age groups for your little ones. 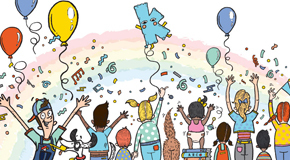 Are you up for a fun party with Kinderling? City Recital Hall will be transformed into a family fun house on 7th July 2018 with amazing performance from kids’ favourites including Benny Time, The Beanies, Jay Laga’aia, The Vegetable Plot, Bunny Racket, and Teeny Tiny. There are also lots of fun activities for the whole family throughout the day including interactive workshop, art and craft projects, face painting, story telling, etc. All Playgroup NSW members will stand a chance to win one of the three (3) double passes to this thrilling fun party by enter into this competition. Competition will close on 31st May 2018 so hurry up now! Attention all new mums or mums to-be! 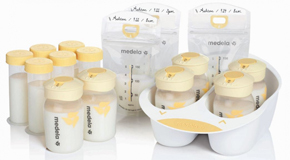 This month, Medela has brought us one fabulous gift pack for a breastfeeding mum which includes: 1x Medela Breastmilk Storage Solution, 1x flexible bra and 1x nursing tank with total retail value up to $150. All Playgroup NSW members will stand a chance to win this fabulous mum starter kit from Medela. Just make sure you enter this competition before 31 May 2018.